Eloise Cook joined Wirral Sensory Services in October 2012 as a Project Executive. Eloise has an honours degree in Health Science and Management and a Masters in Clinical Research from the University of Lincoln. 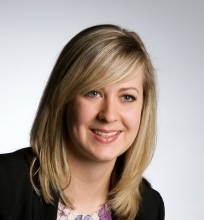 During her time at WSS, Eloise has worked for several independent clients on bespoke projects. Her responsibilities are varied, covering all aspects of test supervision from generation of custom-made questionnaires, test preparation and direction, through to report-writing.